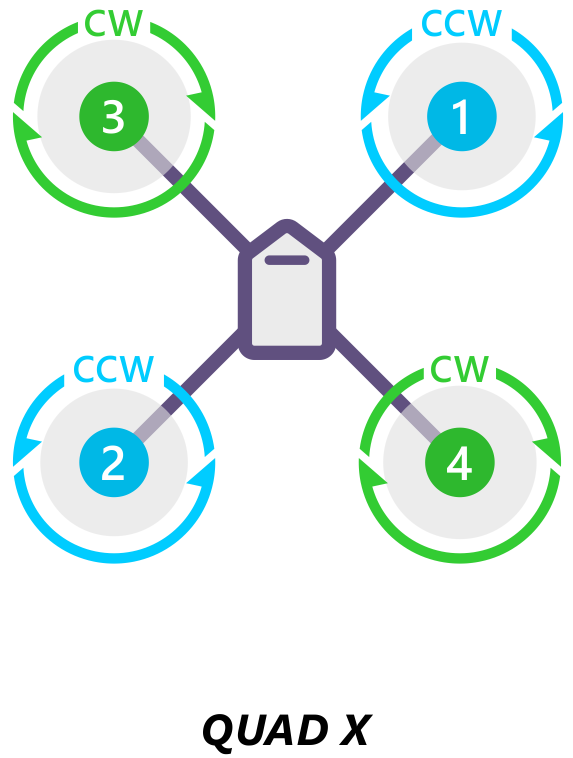 As we know, in quadcopter, 2 motors rotate in CW direction and 2 motors rotate in CCW direction. Refer the image below to connect ESC to Motor. Arrange the Motors in the given way. You will hear a musical tone then one or two beeps. 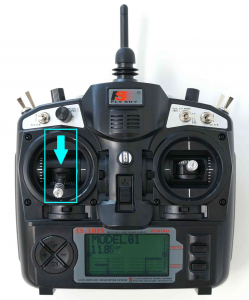 After calibration, recheck that motors should work in coordination with throttle stick i.e as soon as throttle stick is moved from its minimum position, motor should start rotating. Make sure that all ESC’s are calibrated and are working properly. Make sure that Transmitter and reciever are connected. For Arming, hold the throttle to Extreme minimum and Yaw to Extreme left. That is the left joystick should be held for 4-5 seconds in exreme bottom right corner. Now hold in this position for 4-5 seconds to Arm. Blue and Red LED will blink in APM confirming the Arming. If After arming, setup is left idle for 12-15 seconds, it again get Disarmed. Connecting things together and Flying !! 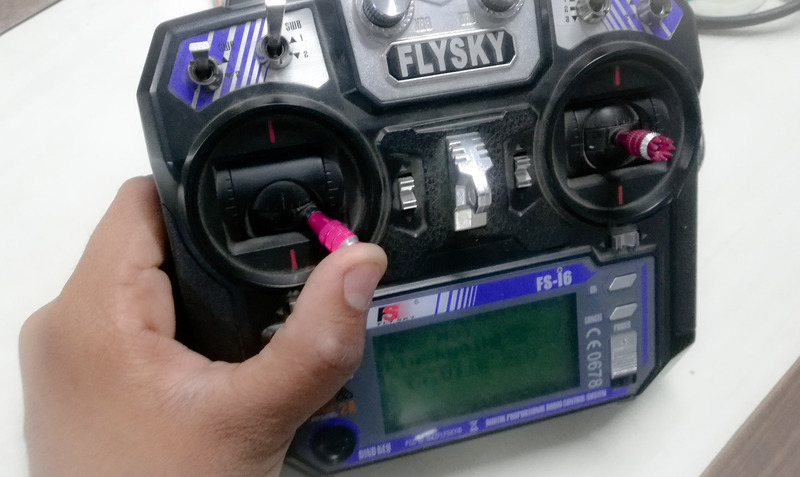 In this tutorial, we will be looking on final connections to be made to make your quadcopter flying ready. 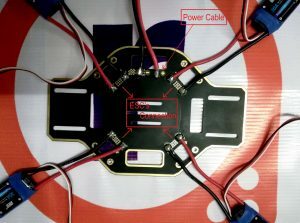 First of all start by soldering the esc’s and the battery connector to the bottom plate. The frame we are using have a power distribution in built. Hence just need to solder the Power Cable (Where battery will be connected) and the ESC’s power input pins. Solder it perfectly. Make sure that +ve (red wire) and -ve (black wire) are soldered at proper place. Setup the frame. Make sure that the screws are tightened correctly. Now mount the motors on the arms and make all connections. Mount the Motors in the Configuration as given below. 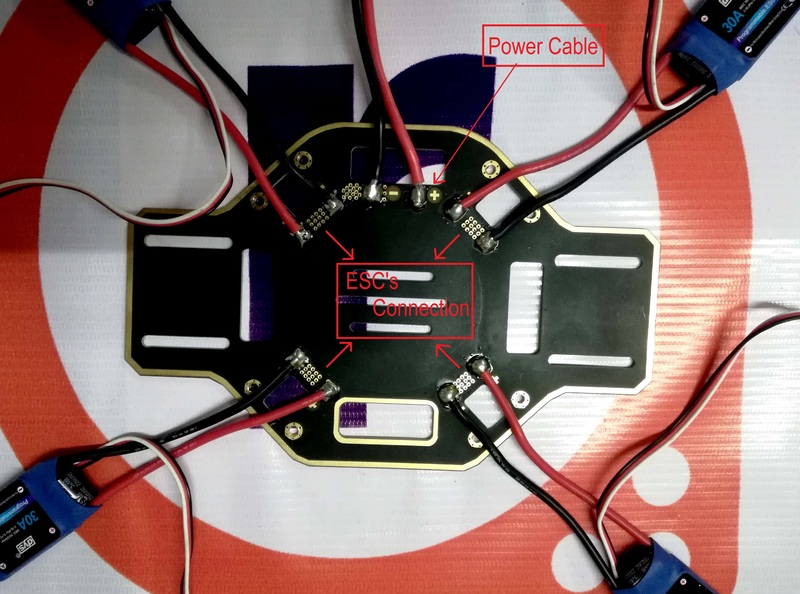 Make the ESC’s connections with APM as shown.We are making Quad X.
Connect all the components correctly. Tie everything using Zip Tie Cables so that nothing should come on the way of propeller. Stick the APM and Reciever on the frame using Double Sided tape. The frame is assembled and connections are done. Make sure that propellers aren’t fitted yet. Connect the battery and Arm the Quadcoter. Give some Throttle. See that all the motors start at same time. 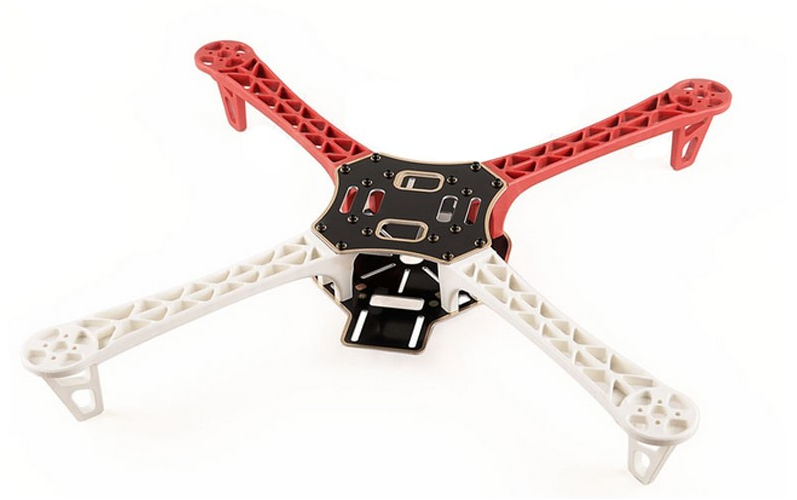 Take the Quad in your hand and Bend it. You should feel the effect of change in speed of rotation of motor. If you bend it to the left, the 2 left motors should Speed up while the 2 right motors should speed down so that it will make quad stable. Repeat the same at all Directions and make sure that everything is fine. Here are some flying directions which everyone should know before flying. Always incresase the Throttle very slowly. 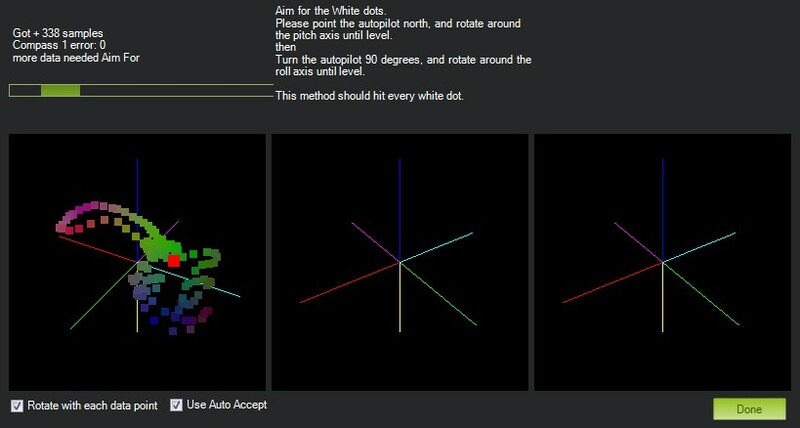 To practice well, you can also virtually simulate using your Transmitter and laptop. It will be the best way to practice flying. It can be used to Program APM and Pixhawk Flight controllers. PC willl detect the Board as “Arduino Mega” and will automatically install the required drivers. Open Mission Planner software and select proper COM port on the top right corner and select the baud rate at 115200. 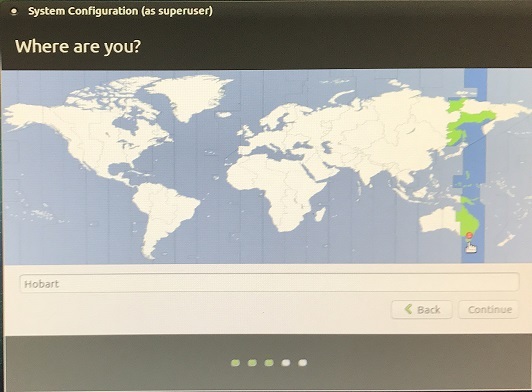 Don’t select on connect yet on the top right corner. Now go to “INITIAL SETUP” tab and click on “Install Firmware” and then select the type of Mutirotor setup. 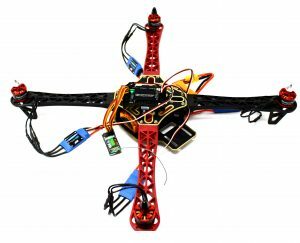 Here we will be selecting Quadrotor setup. Proceed furthur by giving furthur permisions and the firmware updation will start. 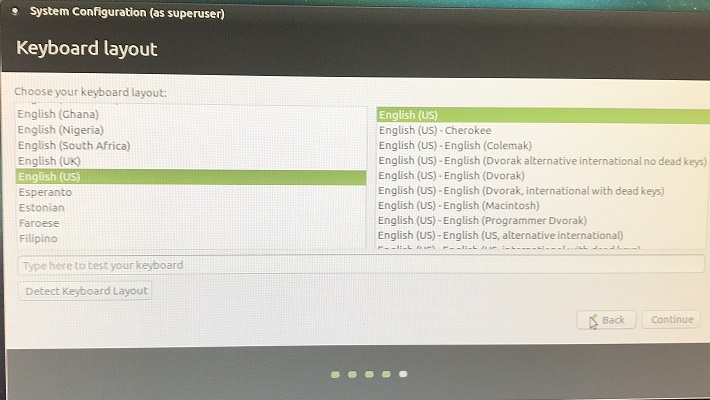 It will take 2-3 minutes to boot the Firmware to the APM board ( Make Sure your PC is connected to internet as it will be downloading some required files ). After completion, click on the CONNECT on top right corner of the window to connect the APM board to PC. Now again go to the Initial Setup tab and click on Mandatory Hardware. 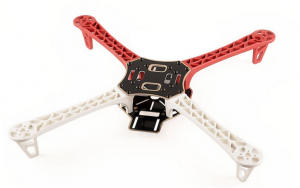 Firstly, select on frame type, and select the X type of frame for your Quadcopter. 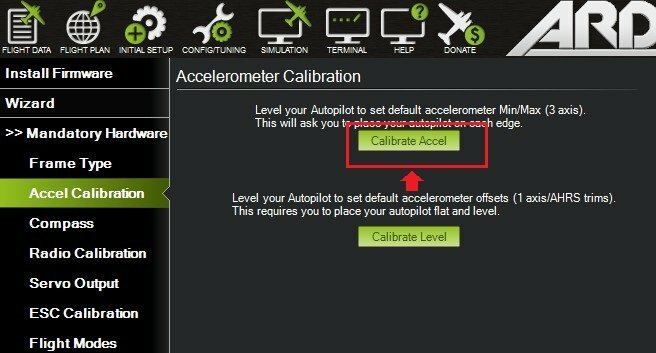 Now go to the Accel Calibration Section and click on Calibrate Accel. 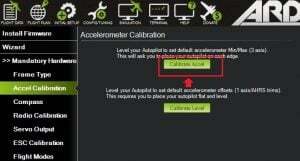 Follow the instructions as shown on screen and perform the same to calibrate the Accelerometer. After finishing the accelerometer calibration, you can head for compass calibration. 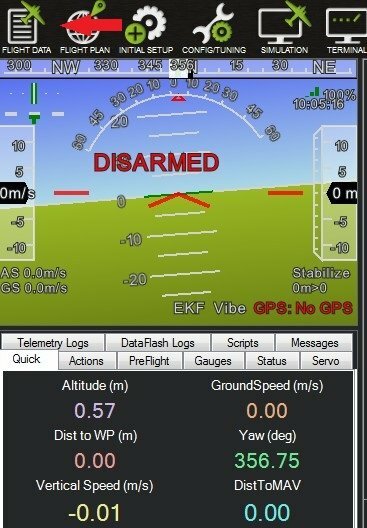 APM 2.8 have built in compass, hence no need for external compass. 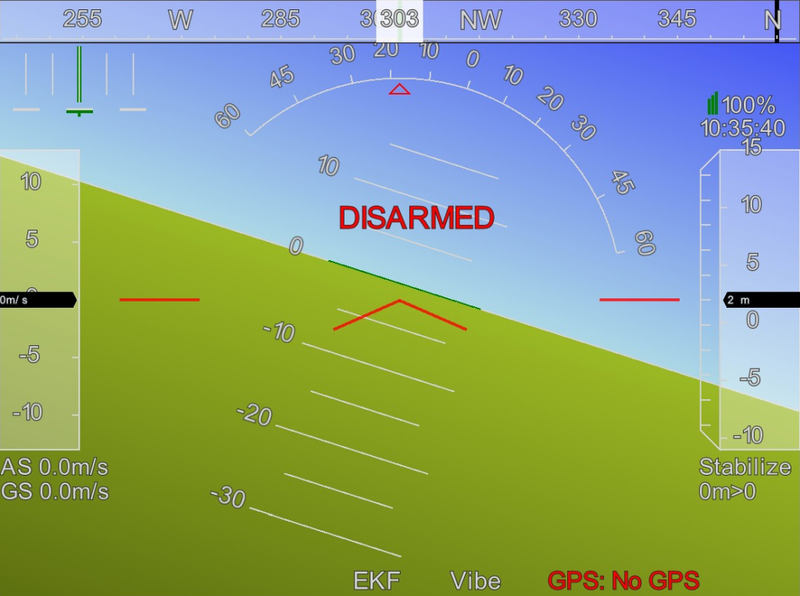 You can also view it graphically by going to flight data tab on top right corner. Move the APM while it is connected to Mission Planner. You will see the change in position of flight and corresponding values also. The Pin Configuration of Input side of APM (Which is to be connected to APM) and configuration of Reciever FS-iA6 is as shown. 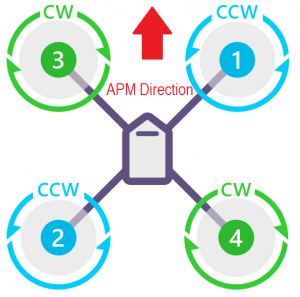 APM 2.5, 2.6, 2.8 all have similar configuiration. Here the outermost pin is Ground, Middle pin is for Positive supply and the innermost pin is Singnal Pin. Ideal way to connect various channels with reciever is also shown. Below is the PinOut for the Reciever FS-iA6. First channel is for ROLL/AILERON, Second is for PITCH/ELEVATOR, Third is for THROTTLE, Fourth is for YAW/RUDDER and fifth and sixth are Mode selection switch. Here also, outer one is Negative switch, middle one is Positive switch and the left one or innermost one is signal pin. Channel wise setup is similar in other 6 Channel Recievers also. Now Connecting receiver with the transmitter. Here we will be connecting APM with Reciever. Take reference from below image for connection. Now go to the Radio Calibration section in the Mandatory Hardware part. You will see different bars for different parameters. 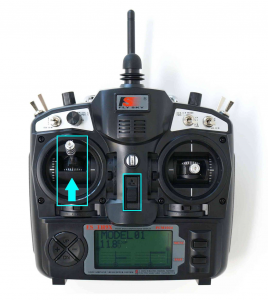 Now if you change the position of any stick on the transmitter’s joystick, the bar for corresponding parameter will change. 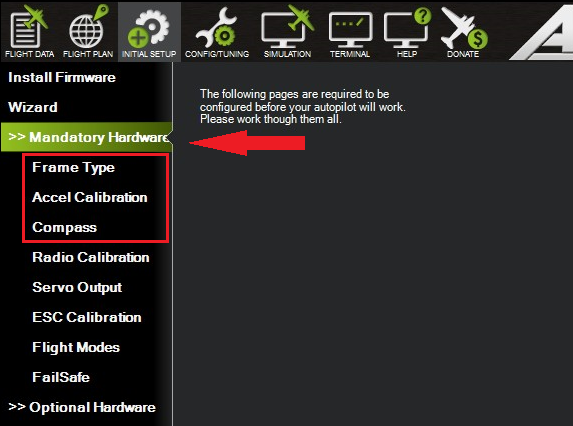 Click on the calibrate radio button and vary all the parameters between its extreme ends. Move joystick in all direction upto extreme ends and also change the position of knobs to extreme. You will now notice that Red extreme lines will be captured by the Mission Planner for the corresponding channels. Now since the extremes will be captured by software, click on the “click when done button” to save the same. Now the calibration is done, and your APM is now programmed to fly. Now you need to do Connections of APM with ESC’s, which will then be connected to Motors. Voltage Pins – Two 5V ( pin 2 and 4 ) pins and two 3V3 ( pin 1 and 17 ) pins are present on the board, as well as a number of ground pins i.e 0V ( pin 6,9,14,20,25,30,34 and 39 ) which are unconfigurable. The remaining pins are all general purpose 3V3 pins, meaning outputs are set to 3V3 and inputs are 3V3-tolerant. 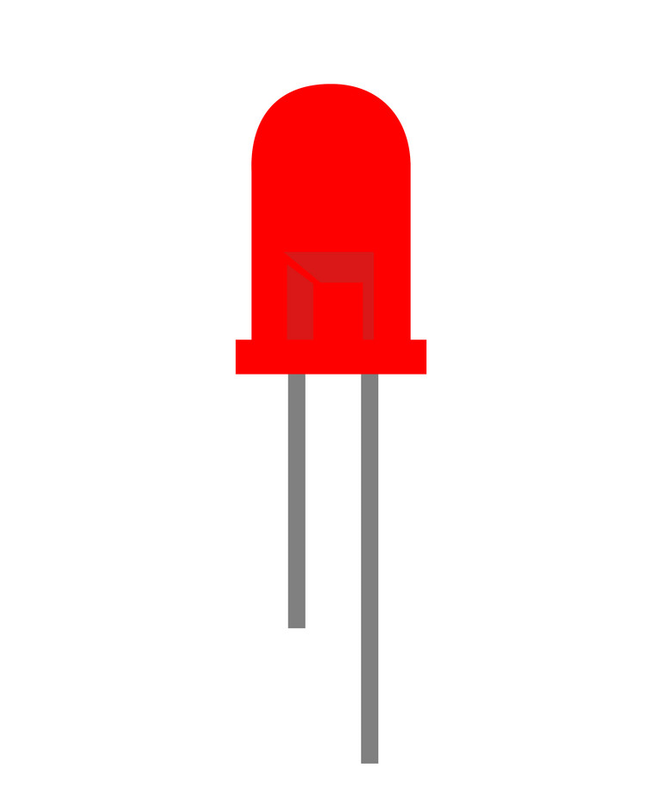 Outputs – A GPIO pin designated as an output pin can be set to high (3V3) or low (0V). 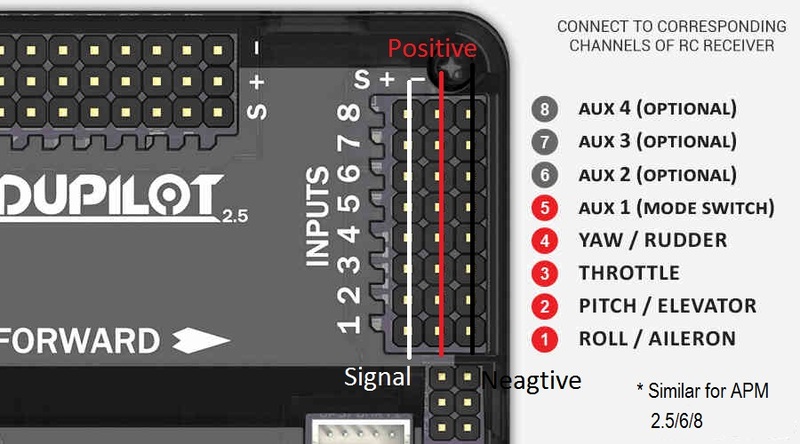 Inputs – A GPIO pin designated as an input pin can be read as high (3V3) or low (0V). This is made easier with the use of internal pull-up or pull-down resistors. Pins GPIO2 and GPIO3 have fixed pull-up resistors, but for other pins this can be configured in software. 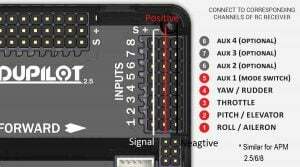 More – As well as simple input and output devices, the GPIO pins can be used with a variety of alternative functions, some are available on all pins, others on specific pins. &nbsp; &nbsp;except KeyboardInterrupt: # When 'Ctrl+C' is pressed, the child program destroy() will be executed. You can press “Ctrl+C” to stop the program. 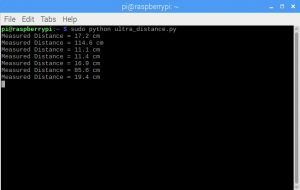 Hi, Welcome to your first Graphical User Interface(GUI) tutorial with Tkinter in Python to control GPIO’s of Raspberry Pi. In this tutorial, you will learn how to create a simple GUI using Tkinter. What Is A Graphical User Interface (GUI) ? 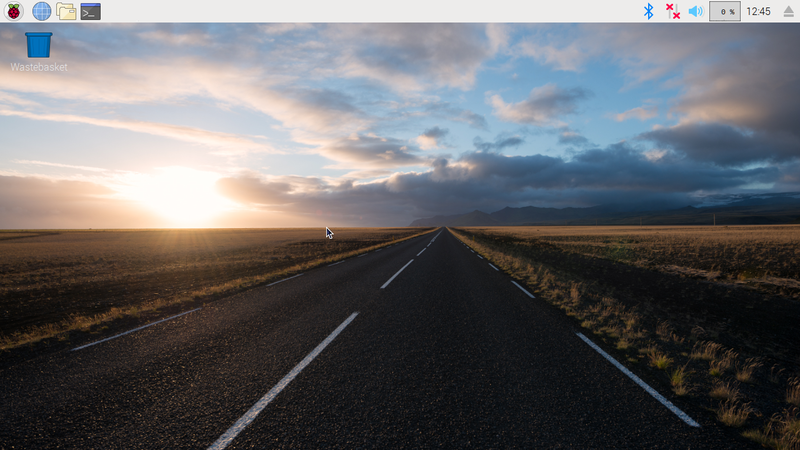 GUI is a graphical desktop app that helps you to interact with the computers. 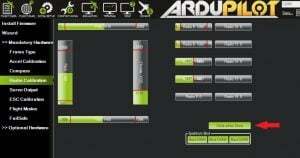 Here we will be creating GUI in Raspberry Pi which will be used to interact with its GPIO. All the apps that we run on a computer are a type of GPIO. GUI apps like Sudoku, Chess, Solitaire, etc.., are games that you can play. GUI apps like Chrome, Firefox, Safari, etc.., are used to surf the Internet. 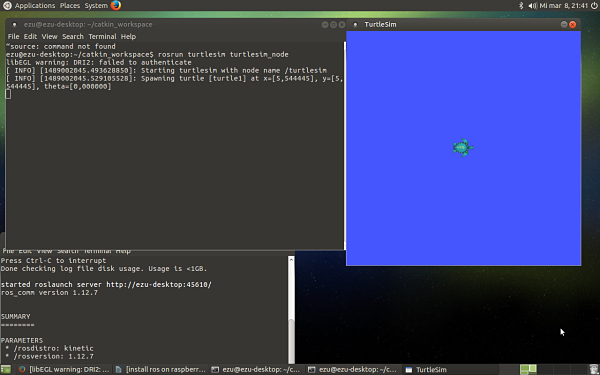 Tkinter is an inbuilt Python module used to create simple GUI apps. 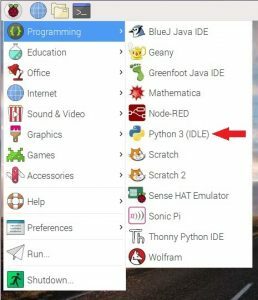 It is the most commonly used module for GUI apps in the Python. You don’t need to worry about installation of the Tkinter module as it comes with Python default. Make connections as shown in the diagram below. Here we will control Output for pins GPIO26 (Pin 37) and GPIO20 (Pin38) and will connect anode of the LED’s to them. Pin no. 39 is used to provide ground. 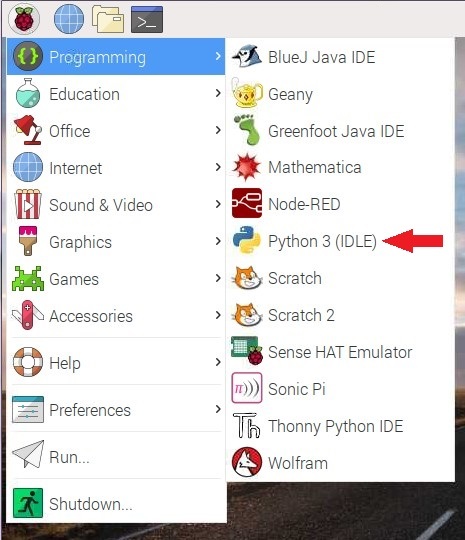 Open the python IDLE in Raspberry Pi and create a new Python file and enter the following code. 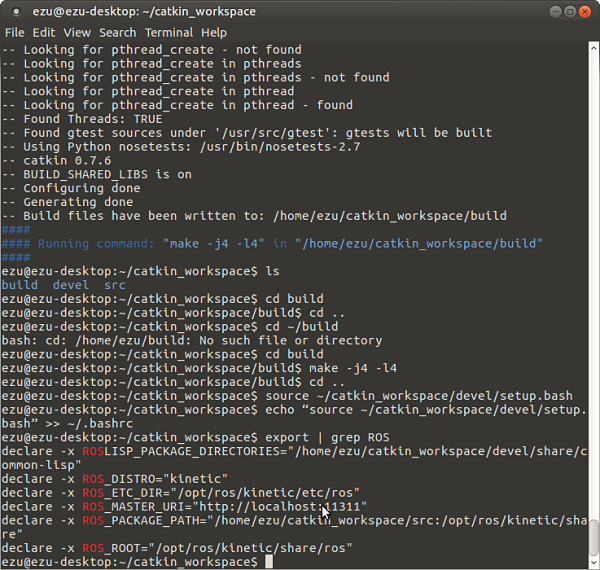 Working of each command mentioned in the corresponding comment. Now save the program. We are saving it as gui_project python file. Now open terminal and type command sudo python gui_project.py and press Enter. Now the window naming My GUI will open up as shown. 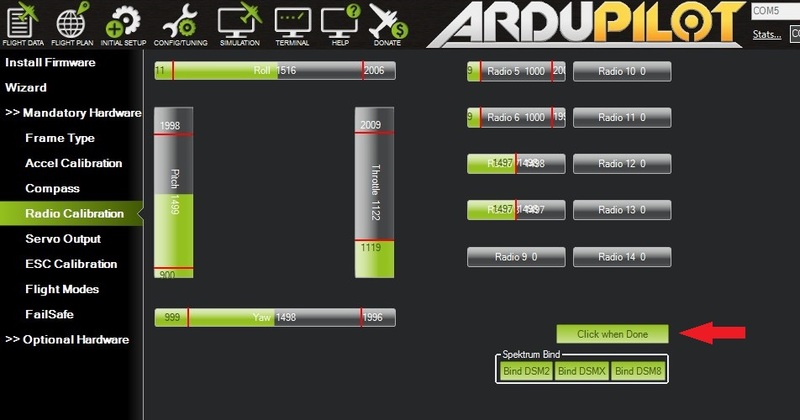 Now you can control the pins with this graphical user interface. If you have touch display, you can also use it by touch. 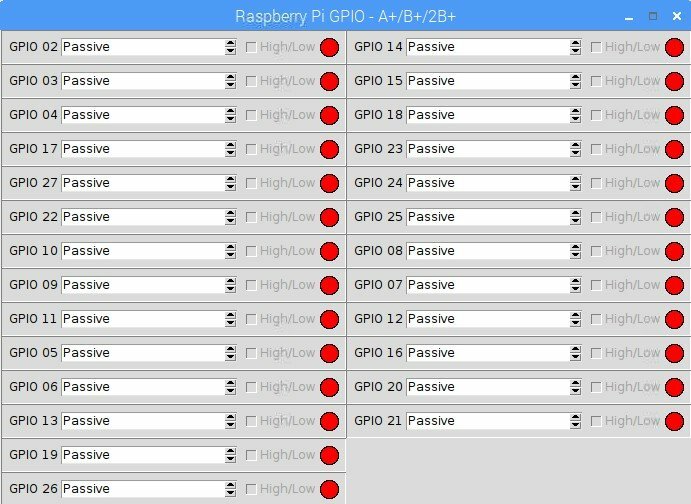 In this tutorial we will be Designing a Graphical panel through which we will be able to control all the 21 GPIO’s of Raspberry Pi as an Input or Output Pin. """Set the state of the LED to be True or False"""
"""Returns the current state of the LED"""
- A Label to indicate the GPIOs current function"""
## """Future capability to setup pull up/down"""
"""Returns True if the current pin is an input"""
Depending on the value in the spinbox"""
## setPullUP(False) - Pin is not pulled up"""
and sets the gpio port state.""" """Sets the GPIO port state to the current state"""
"""Refreshes the LED widget depending on the current state"""
"""Updates the current state if the pin is an input and sets the LED"""
and then destory the app and its parent.""" """Cycles through the assigned ports and updates them based on the GPIO input"""
"""Runs every 100ms to update the state of the GPIO inputs"""
Currently supports layout 1 and 3"""
"""When the window is closed, run the onClose function.""" Now save the program. We are saving it as gpio.py python file. 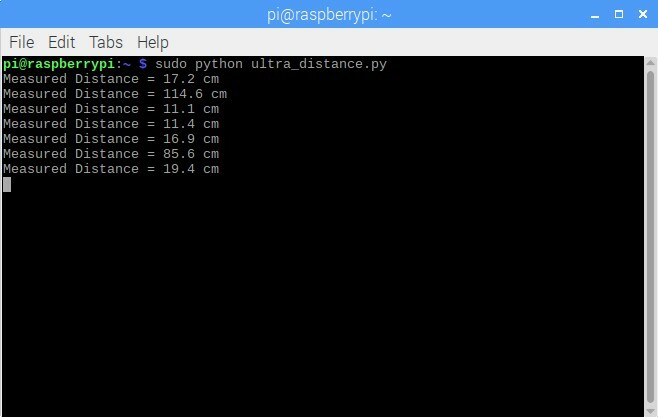 Now open terminal and type command sudo python gpio.py to run the program. 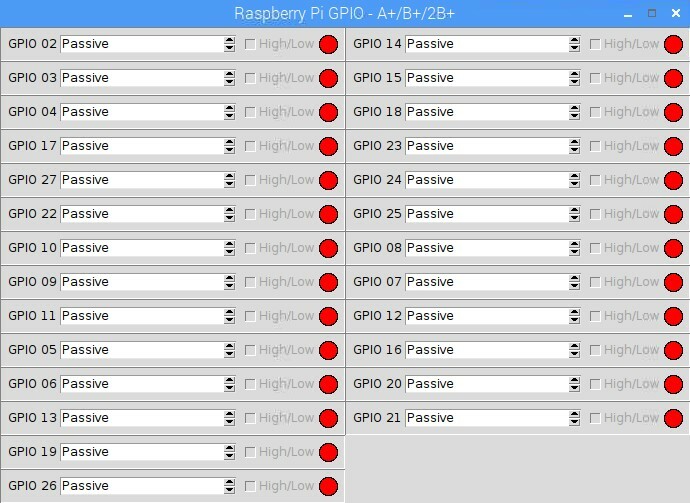 From here you can set the status of any GPIO pin from the Corresponding drop down menu as Passive, Input or Output. If you have selected Input, then the low Input will show the the Red colour and if input is high, it will show Green Colour. Now you can Explore the more of a GUI with Tkinter. Here we will be using GPIO24 as Trigger pin and GPIO25 as Echo pin. We have to connect echo pin in a Voltage Divider, made by 330Ω and 470Ω as Shown. Open terminal and type command sudo python ultrasonic.py and press Enter. Now you will get Realtime reading by Ultrasonic Sensor on the terminal. You can press Ctrl+C any time to stop the program. 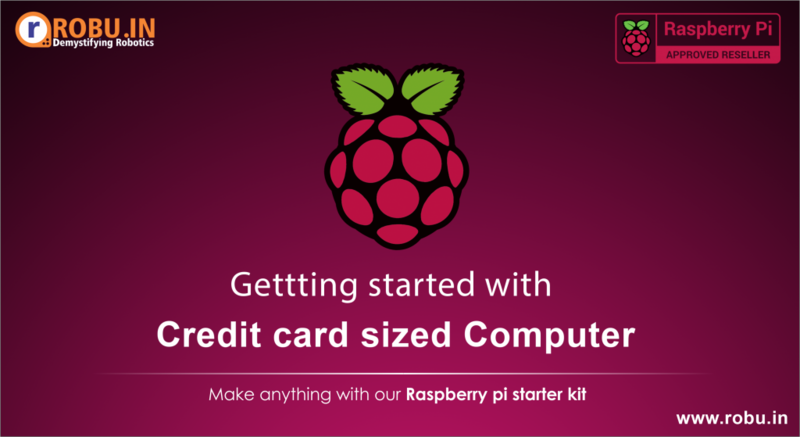 Raspberry Pi Board ( any ), Class 10 MicroSD Card with its adapter to insert it in Laptop ( 16 GB ), Power supply to power the Rapberry Pi, Display with HDMI support, HDMI to HDMI cable, USB mouse and Keyboard. After download, select the SD card port and click on the write button. It will take few minutes depending upon your system to write OS on your SD Card. After finishing, eject the SD card and insert it in your Raspberry Pi and boot it up. 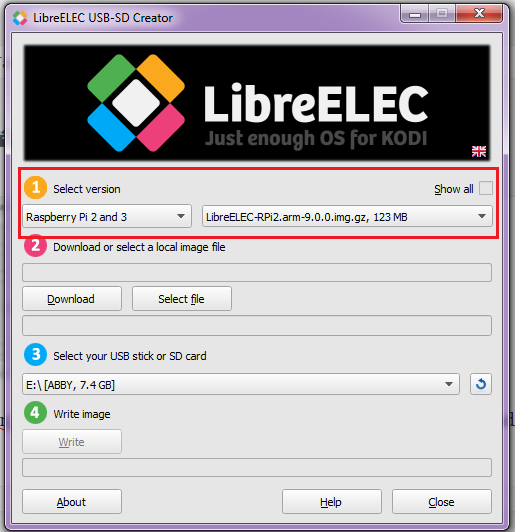 Download the compressed image file with extention .gz name “LibreELEC-RPi2.arm-9.0.0.img”. Download the Win32 Disk Imager software ( for Windows only ) from here or click on the link : https://sourceforge.net/projects/win32diskimager/ . This is used to write any image file to USB stick or SD card. After download install the Win32 disk Imager software and open it. A dialogue box will aper to confirm you. Click on Ok and proceed. Writing will be completed in few mintes depending upon your system. Now safely eject your SD card and Inser it into the Pi. Power it on and boot it up. Method 2 is the most basic and easiest method to write any OS to SD card. 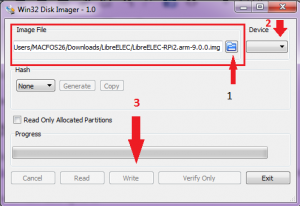 You just need Disk image file of the OS and Win32 Disk Imager to write it on SD card. Yes, it’s really simple as it seems. USB ports — These are used to connect a mouse and keyboard. 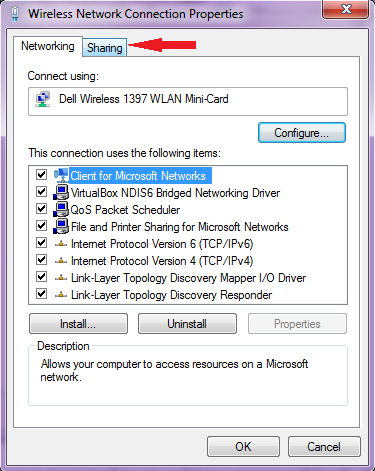 You can also connect other components, such as a USB drive. SD card slot — You can slot the SD card in here. This is where the operating system software and your files are stored. Ethernet port — This is used to connect the Raspberry Pi to a network with a cable. 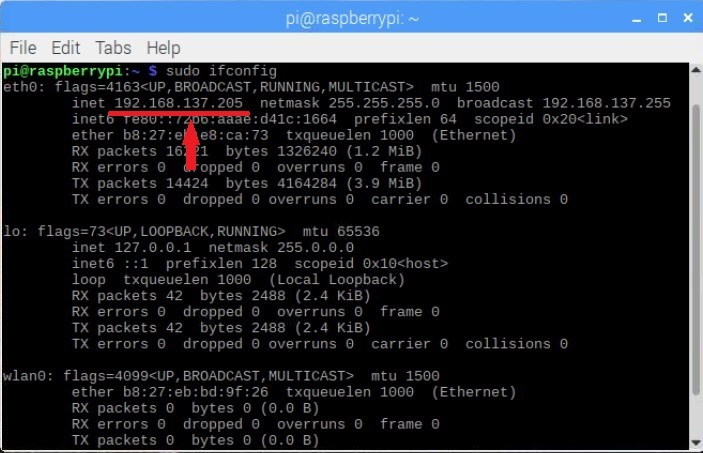 The Raspberry Pi can also connect to a network via wireless LAN. Audio jack — You can connect headphones or speakers here. 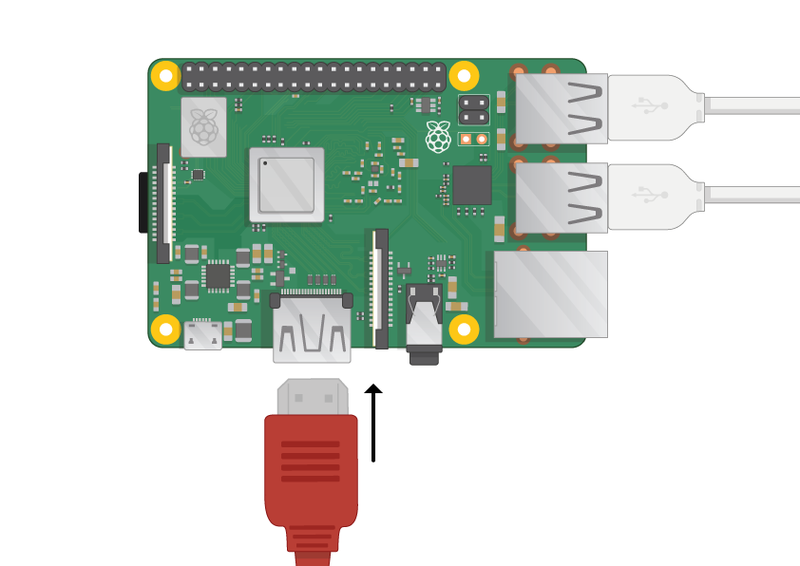 HDMI port — This is where you connect the monitor (or projector) that you are using to display the output from the Raspberry Pi. If your monitor has speakers, you can also use them to hear the sound. Micro USB power connector — This is where you connect a power supply. You should always do this last after you have connected all your other components. If the SD card on which you wish to install Raspbian currently has any of your personal or Important data, you should get the backup of at any other place as it will be erased after format. Visit the SD Association’s website and download SD Formatter 4.0 for Windows or Mac. 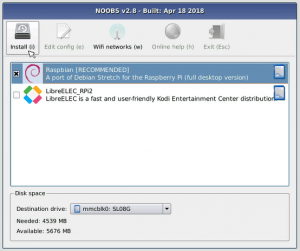 Next, you will need to extract the files from the NOOBS zip archive you downloaded from the Raspberry Pi website. 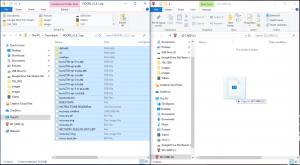 Go to your Downloads folder and find the zip file you downloaded. Extract the files and keep the resulting Explorer/Finder window open. Now open another Explorer/Finder window and navigate to the SD card. It’s best to position the two windows side by side. 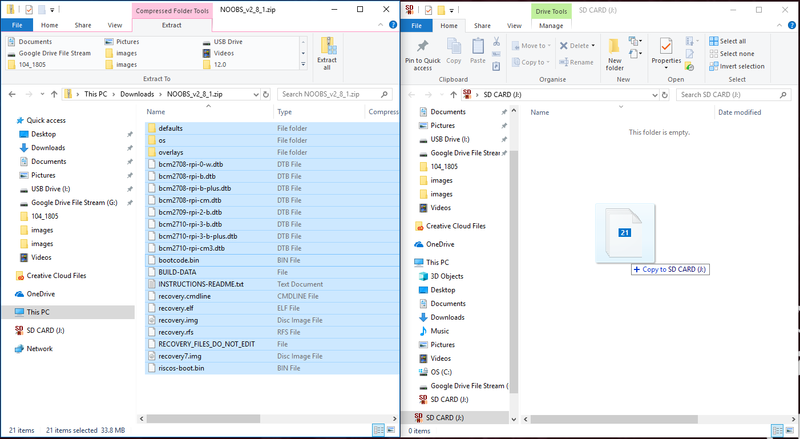 Select all the files from the NOOBS folder and drag them onto the SD card. 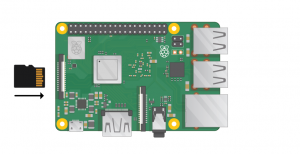 Let’s connect up your Raspberry Pi and get it running. 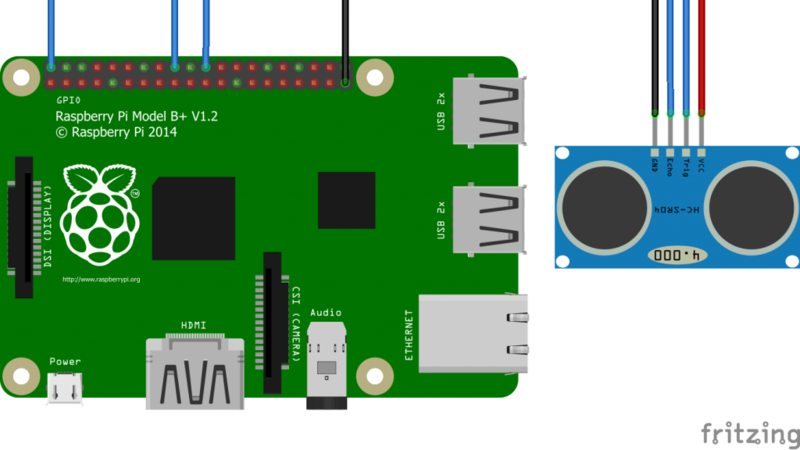 Check whether your Raspberry Pi already has an SD card in the slot at the underside, and if not, insert an SD card with Raspbian installed (via NOOBS). 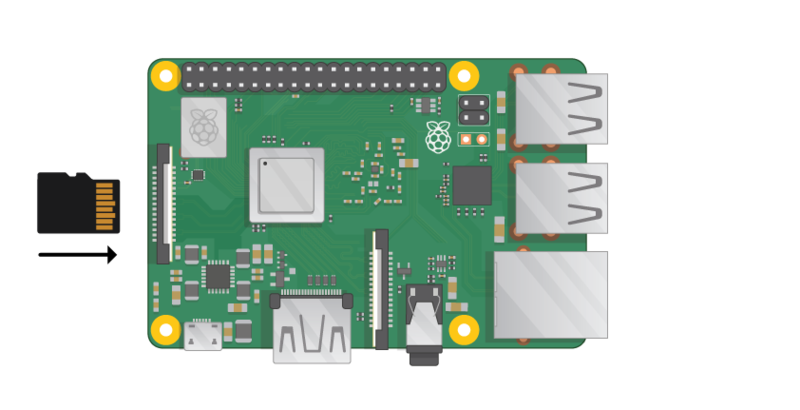 Look at the HDMI port on the Raspberry Pi — notice that it has a large flat side on top. 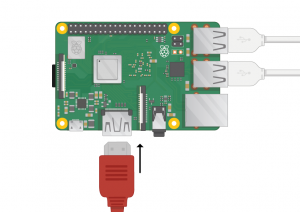 Connect the monitor cable to the Pi’s HDMI port — use an adapter if necessary. Plug the power supply into a socket and connect it to the micro USB power port. The Pi will boot up into a graphical desktop as shown. Follow the steps – Set your Country and your time zone. 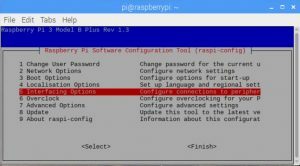 Then set a new password for youe raspberry pi. You are now Done with the set up of Raspberry Pi. Now with Raspberry Pi SKY is the limit !!!!!! Hey there, in this tutorial we will be learning about how to use laptop as Display for Raspberry Pi. Laptop’s keyboard and pointer will also work with it, hence will no longer need Dedicated display, mouse, and keyboard. 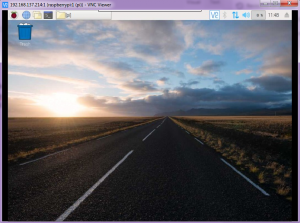 We will be using SSH protocol and VNC server to Interface with raspberry pi. But don’t be excited, you will need a dedicated HDMI display, mouse and keyboard for initial process. 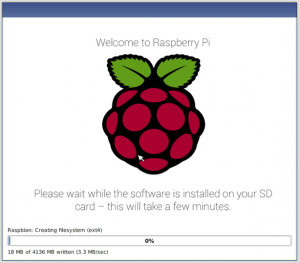 Before starting the tutorial, we hope that Raspbian is installed in your Pi’s SD card and has been booted already. For this, eject the SD card from the Pi and insert it into the laptop using SD Card holder. In SD card we have to load a blank SSH file. 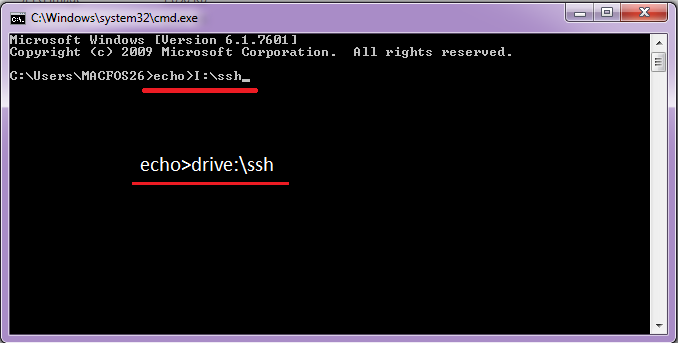 For this open command prompt on your laptop in which SD card is inserted and give the command “echo>I:\ssh” where I is the drive letter allotted to the SD card drive. Now eject the SD card safely from the Device. Plug in your Pi, connect a HDMI Display, Mouse and Keyboard. Open the terminal of your Raspberry Pi and write command “sudo raspi-config” and press Enter. 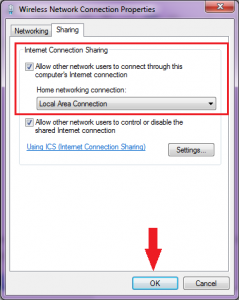 A pop-up will appear showing that SSH server is Enabled. Repeat the same steps given in Step 2. But now enter into the 3rd Option, i.e VNC in Interfacing Options menu. 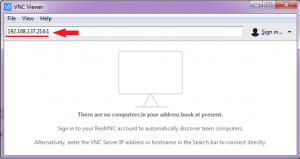 A pop-up will appear showing that VNC server is Enabled. Now both SSH and VNC server are enabled. Now reboot the raspberry pi. Download and install all the softwares in your system and then proceed to furthur steps. 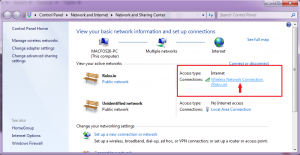 Open Network and Sharing center of Laptop ( Your laptop will not recognize the raspberry pi connected via ethernet port unless changing some settings ) and click on the WiFi network you are connected. 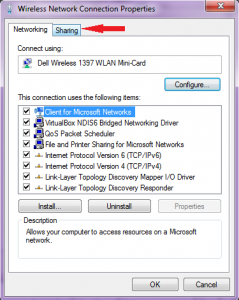 Check on the Box and allow other users to connect to your pc’s internet connection and in Drop down menu select Local Area connection. Click on OK after finishing. 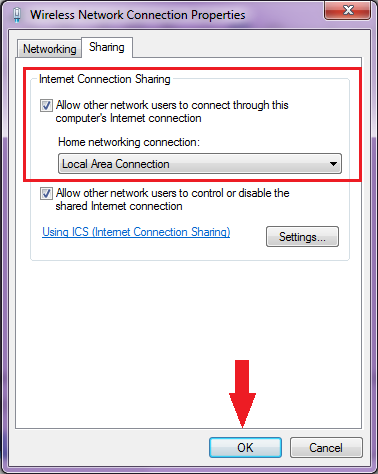 The IP address of the ethernet port will be shown at the place as Marked in above picture. Here it is 192.168.137.205. 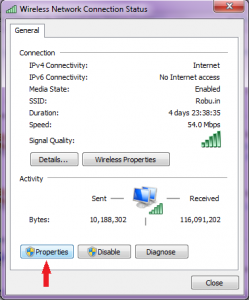 Make note of YOUR IP address for further use. After this, you can directly jump to Next step. 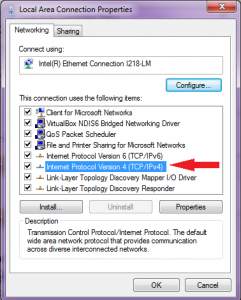 A Window with IPv4 properties will open. 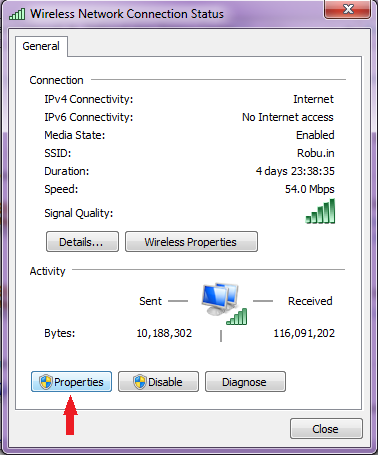 Note the IP address written in the first box and close that Window. 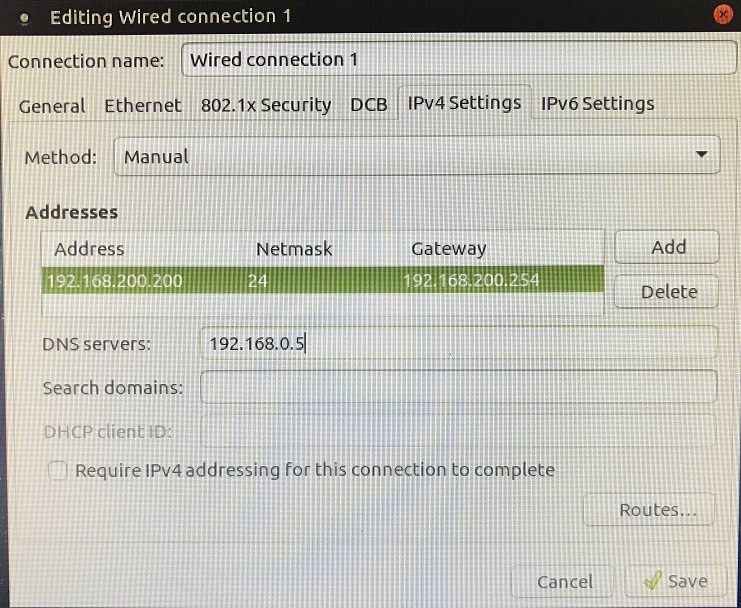 Software will start searching for the hosts alive in that IP range. 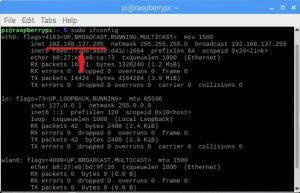 After scanning is done, search for search for host name “raspberrypi.mshome.net” and note carefully the IP address associated with it. Open the PuTTY Software. A PuTTY Configuration window will open up. 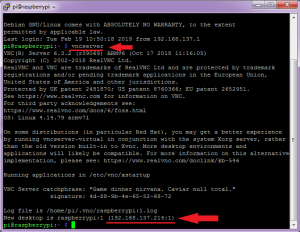 Enter the IP address of Raspberry Pi at the given space. Below that, make sure that SSH option is selected. And then without changing any settings click on open button. A PuTTY security alert window will open. Click on “Yes” to proceed. Congratulations! Now you have entered inside the terminal of raspberry pi. 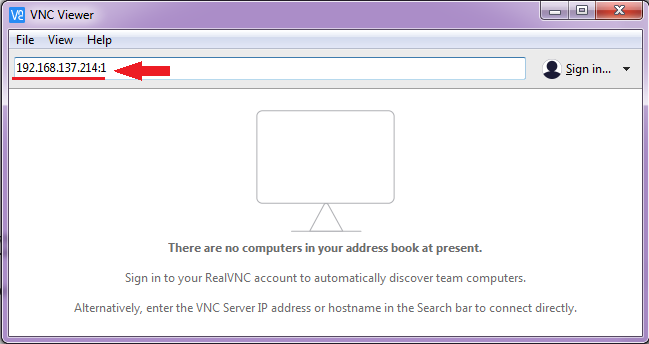 Now to view the Pi’s screen, type a command “vncserver”. 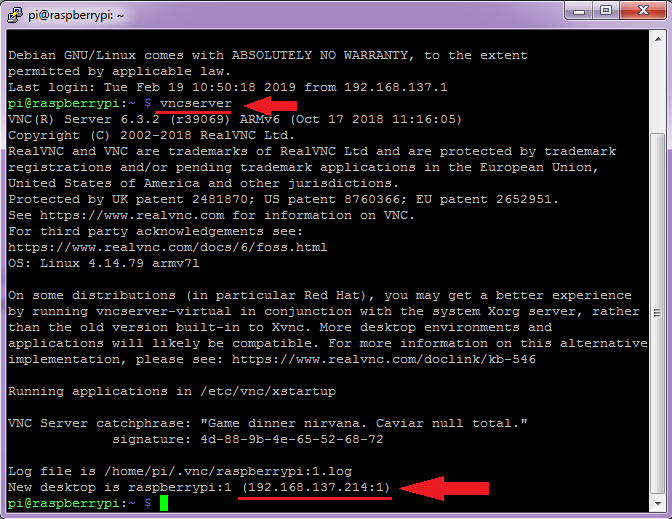 It will turn on the vnc server of raspberry pi. An Identity Check window will appear. Click on contine to move further. 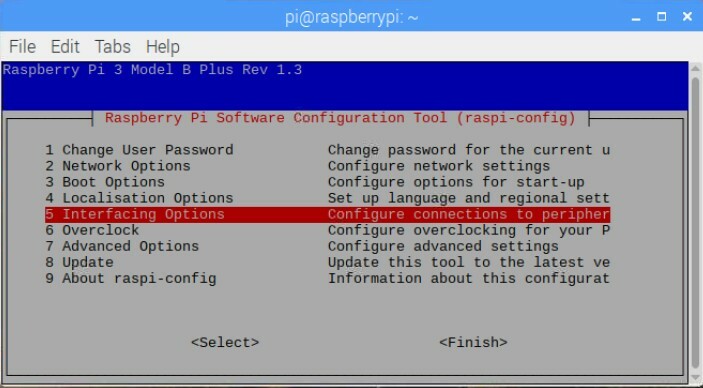 Enter the Username and password of Raspberry Pi for login and press on Enter. This is how Rasberry Pi screen will appear. Congratulations, you have successfully displayed the Raspberry Pi’s screen on your laptop. 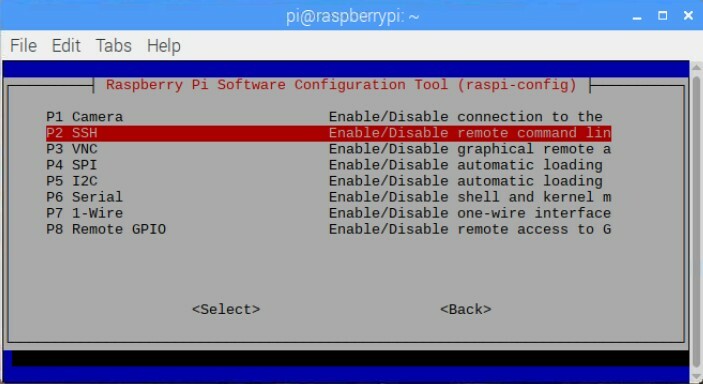 You can use Laptop’s Display, Touchpad and Keyboard as Output and Input devices for pi. 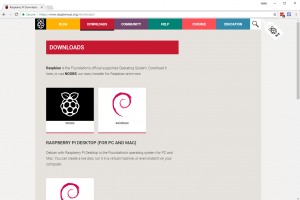 In this document, we will guide you on How to Install Ubuntu MATE 16.04.2 LTS and ROS Kinetic on Raspberry Pi. It comes packaged as an XZ archive so use 7 Zip to extract the IMG file. 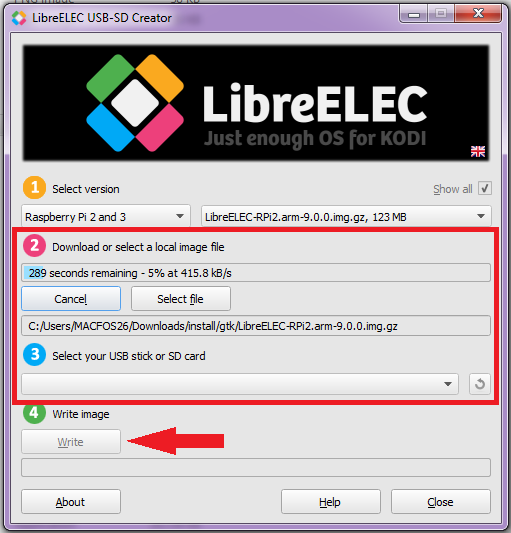 Installing an OS onto a Raspberry Pi requires you to use another computer to write the image file onto a micro SD card. You must have a way to mount a micro SD card onto the computer using either an inbuilt or external USB reader. Insert your micro SD card and launch Win32 Disk Imager. Select your extracted Ubuntu Mate IMG file and change the Device to the drive letter of your micro SD Card. Click Write to begin the process. 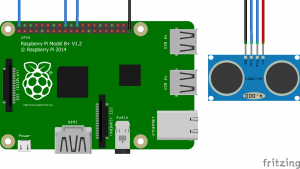 Step 3: Eject the device safely in Windows, insert it into the Raspberry Pi 3 and power it on. 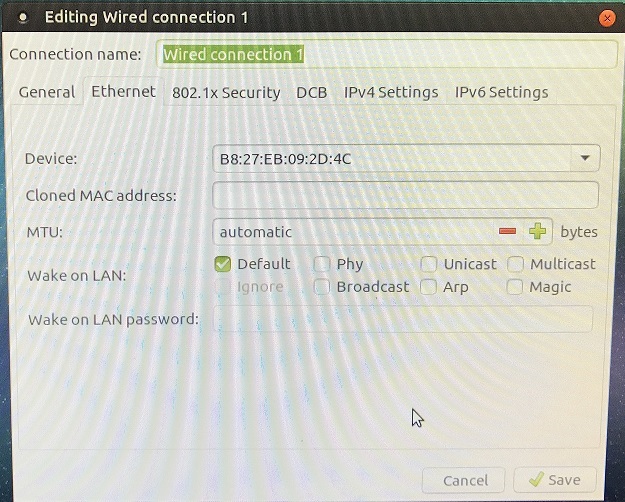 Connect Raspberry Pi to Monitor or TV using HDMI cable. Select English as the Language and click Continue. 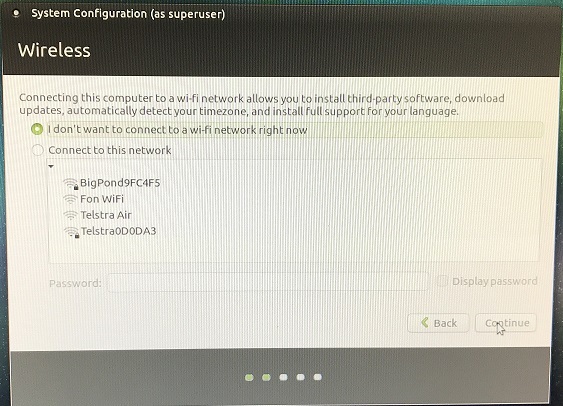 Select “I don’t want to connect to a wi-fi network right now” and click Continue. Select an appropriate keyboard layout and click Continue. 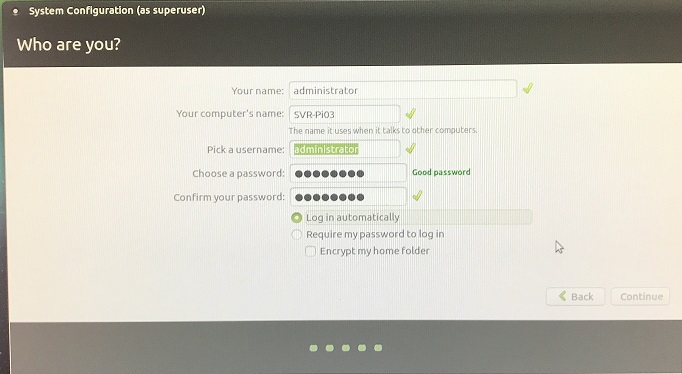 Enter an appropriate Name, Username and Computer name and then a password. Select “Log in automatically” and click Continue. The installer will now proceed to configure the system. 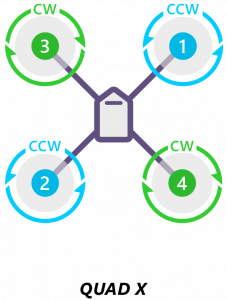 When configuration is complete you will see the splash screen below. 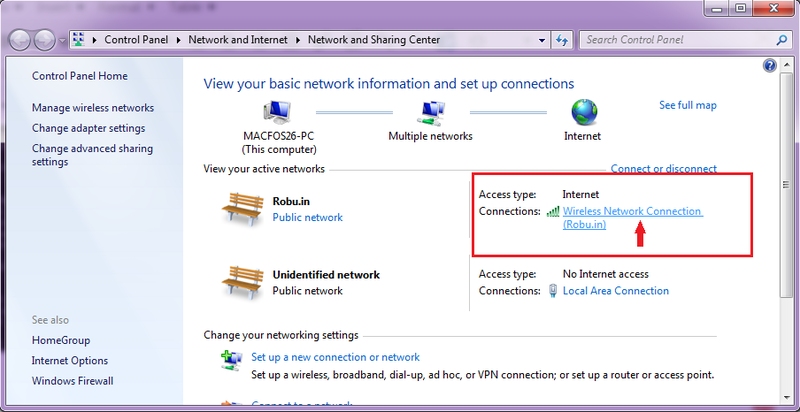 Go to the System Menu in the top left corner and select Preferences – Internet and Network – Network Connections. 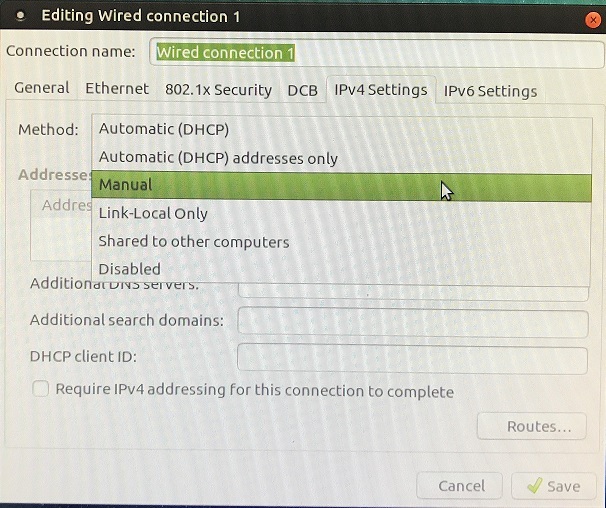 Select “Wired connection 1” under Ethernet and click the Edit button. 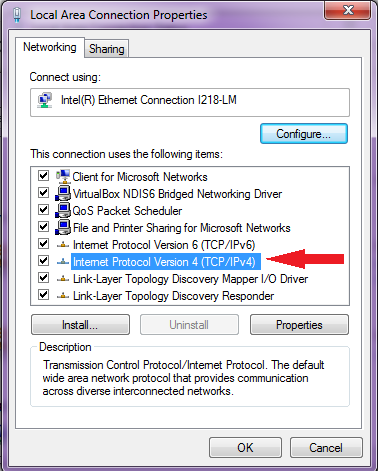 Click on the “IPv4 Settings” tab at the top. Click on the Method drop-down list and select Manual. 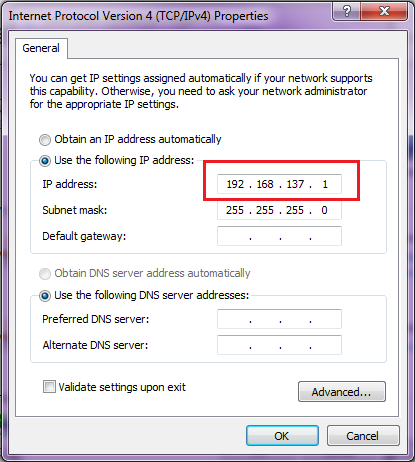 Enter an appropriate IP Address, a Netmask in CIDR notation and the Gateway address. 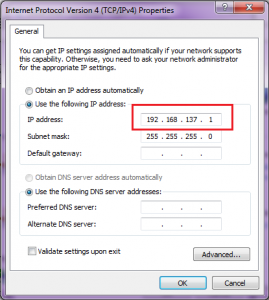 Enter your networks DNS server address. Click Save. Click Close to finish. The ROS framework is compatible with a short list of Linux distributions. Neither the hardware side is not better. There are just few hardware architectures compatible with ROS. 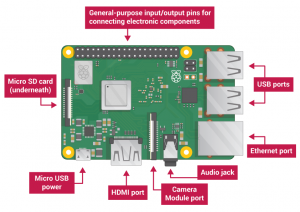 Raspberry Pi is one of the development boards compatible in terms of hardware with ROS. 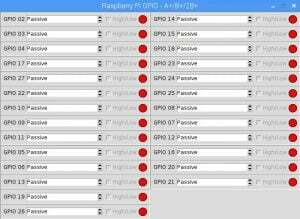 So, I thought to install ROS Kinetic on the Raspberry Pi 3 running Ubuntu Mate. 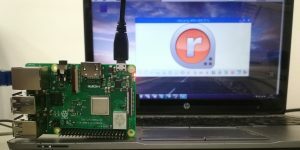 But only a certain version of Ubuntu Mate is compatible with ROS and Raspberry Pi 3, it is about the Ubuntu MATE for Raspberry Pi 3. This is an OS version released last year and include support for the WiFi and Bluetooth modules integrated into the Pi 3. 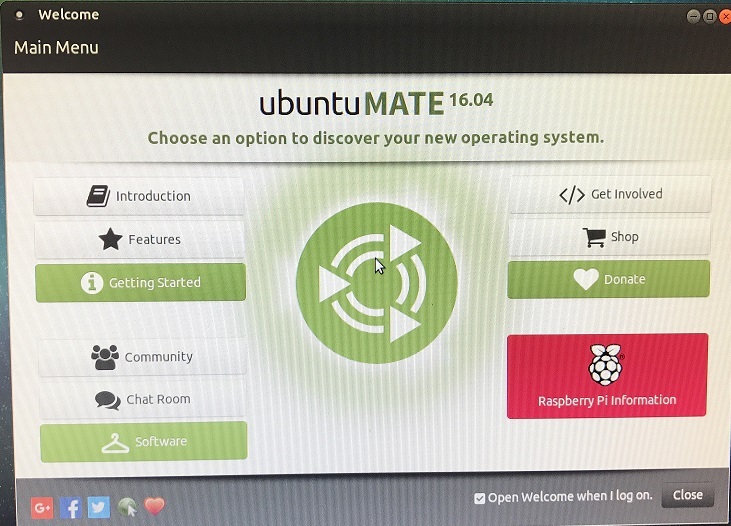 The OS version used by me on Raspberry Pi 3 is Ubuntu MATE 16.04.2. 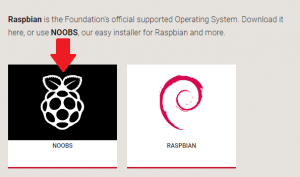 The first step in installing ROS on Raspberry Pi 3 is called Mate. 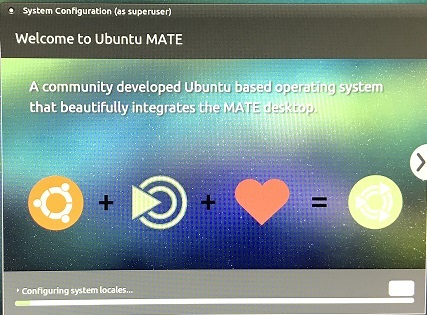 Ubuntu Mate. The operating system is simple to install. 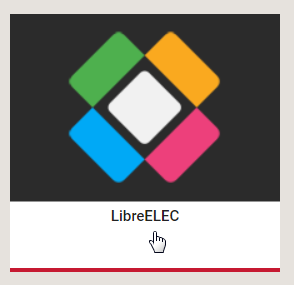 I followed the steps on the download page, and within minutes I managed to have a Pi 3 running Ubuntu Mate. 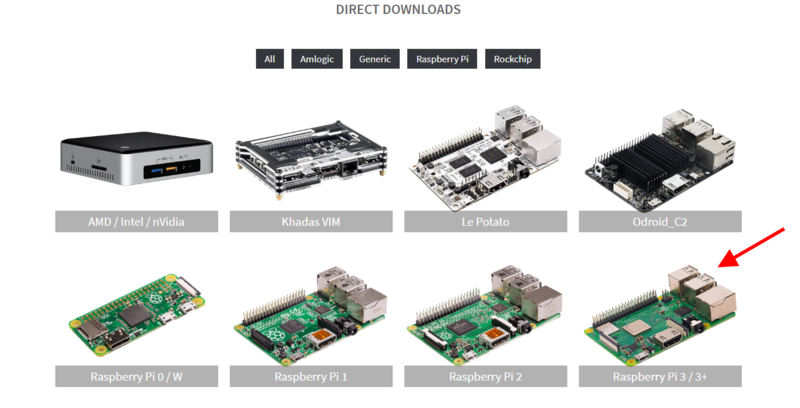 What you find below are the steps to install ROS Kinetic on the Raspberry Pi 3. 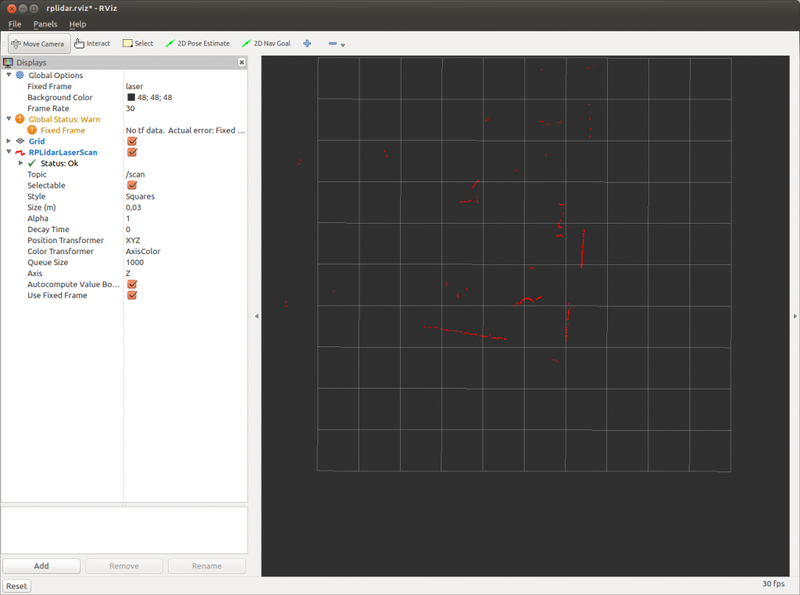 Start a rplidar node and view the scan result in rviz. Rviz will pop-up and show a background grid. The “view” from the laser scanner will be marked in red. The laser scanner is positioned at the center of the grid, it has a range of roughly 15cm to 6 meters, so you’ll be able to see everything around it on its scanning plane within that range. A rotary encoder is a device that you can rotate infinitely. Simple ones like this one have no real state like a pot does, so when you start up, you won’t be able to simply read from the encoder where it is turned to. But because you can keep turning it it has no beginning, middle or end anyways. However, if you keep track of that rotation in code, you can use it as a knob input you can turn up or down as much as you would like. So, the really funky thing about a rotary encoder is for it to work, we need to know every time those values change. This can be hard because if the arduino is in the middle of doing something, like delay(1000) or what have you, we will miss the change. 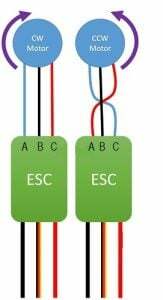 So we need a way to say to the arduino “I don’t care what you are doing, or when you are doing it, if you see any of these two pins change state, you drop everything and attend to them”. To do this we need something called interrupts. Interrupt pins are special pins that can stop your arduino and force it to do something else before it moves on. Because they are special pins you only get a few of them on your arduino, but these pins can watch for any CHANGE (high to low / low to high), FALLING (high to low) or RISING (low to high). You can attach interrupt functions to these pins, so if a change happens, it will drop everything and run that function. It gets funky as it breaks the basic linear nature of the arduino loop, but can become the most powerful thing when you get the hang of it. Any global variables that are used inside these functions have a special name. They are called volatile variables, and for good reason. Their values can change at any time. So if you use a volatile twice in your loop, it may not be the same value the second time if it was change during an interrupt function. To keep track of the rotary encoder we are going to do something that will look really weird, so bear with me. The encoder has 2 digital pins that are either HIGH (1) or LOW (0) right? If we treat the pins as binary, we read them as 00, 01, 10, or 11. The sequence the encoder outputs while spinning clockwise is 00, 01, 11, 10 repeat. So if you have a reading of 01, the next reading can either be 00 or 11 depending on the direction the knob is turned. So by adding the previous encoded value to the beginning of the current encoded value we get 1 of 8 possible numbers (0001, 0010, 0100, 0111, 1000, 1011, 1110 & 1101) 1101, 0100, 0010 & 1011 all mean cockwise movement. 1110, 0111, 0001 & 1000 are all counter-clockwise. A typical rotary incremental encoder consists of a light-emitting diode (LED), a disk, and a light detector on the opposite side of the disk (see next figure). The disk, which is mounted on the rotating shaft, has patterns of opaque and transparent sectors coded into the disk. As the disk rotates, the opaque segments block the light and, where the glass is clear, light is allowed to pass. This generates square-wave pulses, which can then be interpreted into position or motion. These pulses can be read by microcontroller as part of a PID feedback control system to determine translation to distance, rotational velocity, and/or angle of a moving robot or robot part. For instance, if you have a wheel rotating, and you want to measure the time it takes to rotate exactly 40 degrees, or if you want to know when you have traveled X distance, you can use an rotary encoder. The encoder will be fixed on your robot, and the mechanical part (the encoder wheel) will rotate with the wheel. Since the output of an encoder is a square wave, you can then count the pulses if you hook up this signal to a digital counter or microcontroller. Knowing the distance/angle between each pulse, and the time from start to finish, you can easily determine position or angle or velocity or whatever. Encoders are necessary for making robot arms, and very useful for acceleration control of heavier robots. 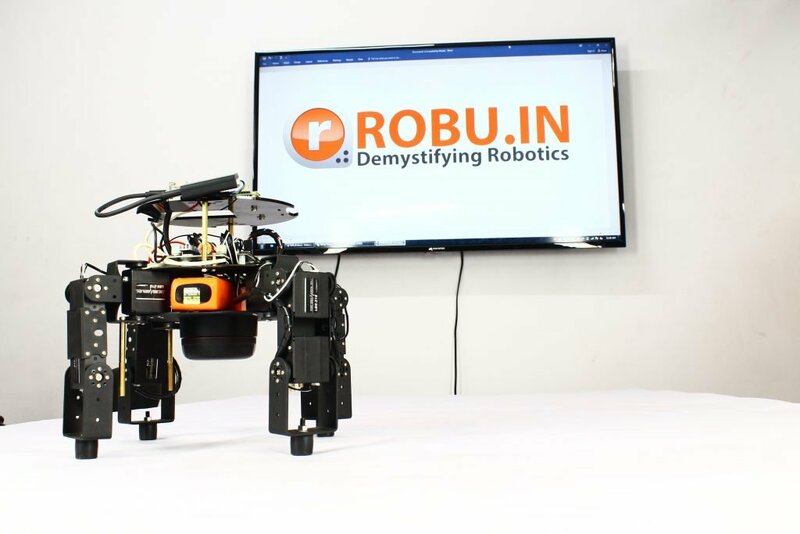 They are also commonly used in robot for maze navigation. Rotary Encoders usually offer 100 to 6,000 segments per revolution. This means the encoder can provide 3.6 deg of resolution for 100 segments and 0.06 deg of resolution for 6,000 segments. Linear encoders work under the same principle as rotary encoders except that instead of a rotating disk, there is a stationary opaque strip with transparent slits along its surface, and the LED-detector assembly is attached to the moving body. With incremental encoders, you can measure only changes in position (from which you can determine velocity and acceleration), but it is not possible to determine the absolute position of an object. 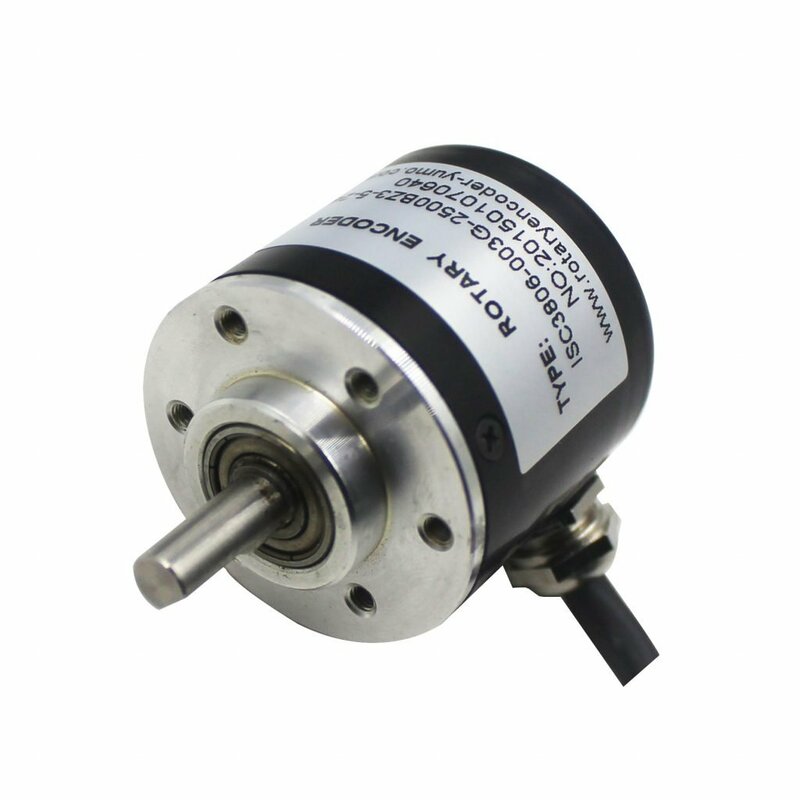 Another type of encoder, called an absolute encoder, is capable of determining the absolute position of an object. Its function is similar to position feedback using variable resistor (analog output), the only differences are that it can be rotated in 360 degree and digital output. This type of encoder has alternating opaque and transparent segments like the incremental encoder, but the absolute encoder uses multiple groups of segments that form concentric circles on the encoder wheel like a bull’s-eye on a target or dartboard. The concentric circles start in the middle of the encoder wheel and, as the rings go out toward the outside of the ring, each of them has doubled the number of segments than the previous inner ring. To make encoder measurements, you need a basic electronic component called a counter. Based on its several inputs, a basic counter emits a value that represents the number of edges (low to high or high to low transitions in the waveform) counted. Most of the Microchip PICs have this peripheral; normally Timer 0 or Timer 1 is used as external input counter. External interrupt pins (INT) can also be used for counting the pulse; the rising edge (low to high) or falling edge (high to low) is configurable. Once the edges are counted, the next thing you need to take care is how those values are converted to position, further to speed and etc. The process by which edge counts are converted to position depends on the type of encoding used. There are three basic types of encoding, X1, X2, and X4. You will be able to see the signals shown in the next figure if we are scanning from left to right ; and reverse the direction or scan from right to left on previous figure. This is a quadrature cycle and the resulting increments and decrements for X1 encoding. When channel A leads channel B, the increment occurs on the rising edge of channel A. When channel B leads channel A, the decrement occurs on the falling edge of channel A. A shortcoming of the previous method is that the count frequency is the same as the frequency of channel A. Thus, an encoder is said to have a resolution of 500 pulses per revolution (ppr) does exactly that. We can do better by using both edges of Channel A. This is not too hard to arrange in hardware but this uses up valuable board space. The equality test described just now works just as well if we are detecting falling edges. Thus we can use the same routine for both rising and falling edges and detect twice as many transitions. With 2X decoding our 500 ppr encoder can generate 1000 pulses per revolution. It is possible to do even better if we examine the edges of both channel A and channel B. There are four edges for each phase of channel A and it is possible to get 2000 pulses per revolution from our 500 ppr encoder. When I cut out the middle part of this signals which shown in the next figure, we can see clearly that the two bit encoder field (A, B) is Gray Code Encoded. Only one of the two bits changes for any given state transition. Furthermore, we can tell whether the wheel is turning clockwise or counter-clockwise based on the state transitions, which are mutually exclusive for the two directions, as shown in the table below. Most engineers will be more comfortable with the table above representing a state transition diagram, as shown in figure below. If you have a microcontroller with the ability to generate interrupt form external source, it is pretty simple to get the count we want. But at least it must has two external interrupt pins for 4X encoding, let’s say we use PIC18F4520 (3 external interrupt pins). 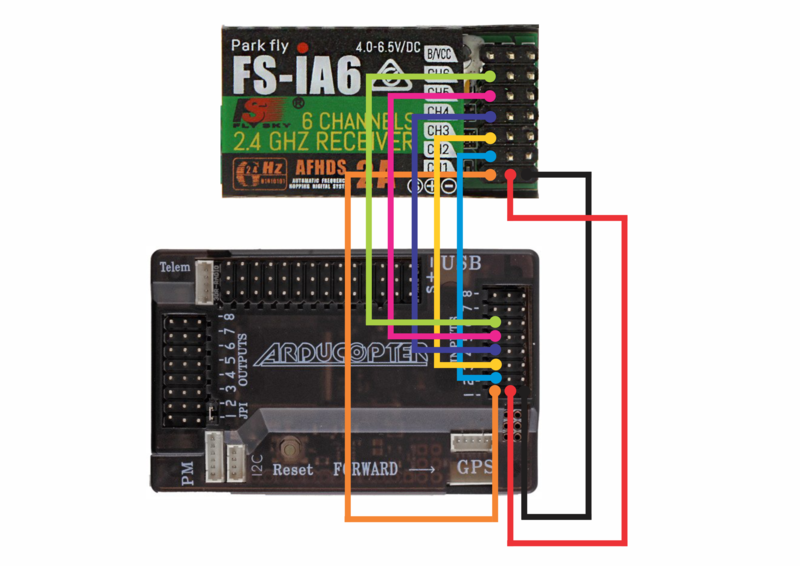 Channel A is connected to the INT1/RB1 pin and channel B is connected to the INT0/RB0 pin. The sense of the interrupt is changed after each interrupt so that the routine responds alternately to rising and falling edges. On each interrupt, after determining the current state, we can get the direction by checking back the previous state and Count Value will be increased or decreased. Listing below is the example interrupt routine for PIC18F4520 and the sequence is based on the previous state transition diagram. * If you like to have faster response from author regarding your inquiry/comments/feedback, please do post in our technical forum as we seldom check the comment section in tutorial site.